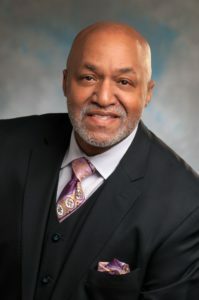 Nashville, TN – Citizens Savings Bank & Trust has appointed Healthcare Executive and Attorney Richard Manson as Chairman of the Board following the retirement of esteemed Chairman Dr. T.B. Boyd III. The Chairman of the Board provides leadership for the effective governance of the bank and provides guidance for the accountability to shareholders, regulators and other stakeholders. Dr. T. B. Boyd III is now Chairman Emeritus. Originally from Dayton, Ohio, Attorney Manson is a corporate leader who builds and brokers relationships to create profitable, lasting and mutually beneficial business partnerships. He earned his B.A. degree in History from Fisk University and was the recipient of the prestigious Thomas J. Watson Fellow to study abroad. Attorney Manson holds a Juris Doctorate degree from Vanderbilt University Law School. Marcela Gómez is one of the many foreign-born entrepreneurs in Nashville, Tennessee. Born and raised in Bogotá, Colombia, Marcela moved to Music City in 1994 with her then four-year-old son, Esteban. For Marcela Gómez entrepreneurship has been her life since 2002 after being laid-off from her job as marketing director of the Spanish-language division of global book publishing company. Her new path became a passion that she uses to mentor women entrepreneurs. Since 2014, Marcela has served as president of the Tennessee Latin American Chamber of Commerce based in Nashville guiding the organization through the rapid growth of the Latino population in Davidson County, offering programs all its members and supporters. In 2016 Marcela was invited to help in several Nashville projects in partnership with Colombian organizations. Through this involvement and hearing stories of how her Nashville friends were traveling to her homeland, she decided to go back to Colombia after seven years of not visiting. However, this time, was not for a vacation. Marcela knew she was going back with a different purpose. “One of my greatest passions is to help women become entrepreneurs, achieve financial independence, and be able to support their families. I have been doing this for several years in my beloved Nashville Tennessee, now I am sowing seeds of that passion in my homeland of Colombia” says Marcela. Gómez, the passionate entrepreneur, began her tour of Colombia by following what she calls “The Route of Peace. The Route of the Artisan”, she now travels to small rural towns meeting and purchasing handmade items by the women artisans who are from indigenous groups of Colombia or women who have suffered the fifty-year plus armed conflict in this country. To offer the women artisans of Colombia an international platform for their beautiful work, Marcela with partners, opened a new company, “Mi Tribu”, which means My Tribe. The mission of Mi Tribu is to support disenfranchised women in developing nations by helping them establish sustainable means of providing for themselves and their families. We do this by purchasing high quality, handcrafted products directly from the artisans who create them for a fair price. Our goal is to provide our buyers with one of a kind style items that have a truly global impact. Mi Tribu also invests a portion of every sale back into the communities in which the goods were produced. These funds go toward educat ion, housing, and small business loans for women. “We believe that as women, we are all a part of one beautiful tribe; interdependent and meant to lift one another up,” says Gómez. The handmade products of Mi Tribu can be purchased online through the company’s website, mitribu.us, where you can also watch interviews with the artisans themselves and learn what makes them smile and give them the power to keep working. Marcela continues with her work in Nashville as the Hispanic marketing consultant and president of the TN Latin American Chamber of Commerce while working on the mission of Mi Tribu.